A Southern Grace: had enough? Apparently, I haven't. I can peruse Thanksgiving post after Thanksgiving post after after-Thanksgiving post and not get tired of seeing your turkeys, cranberry sauces, and pies. What's more, I can eat our own leftovers for meal after meal after meal and still crave 'em the next day. 4 pounds of chocolates? That's all I would need for Thanksgiving dinner. Period. That is one heck of a box of chocolate! LOL, sweet potater casseroles sounds like a good side to the toikey! I'm glad you have the box of chocolates, instead of me!! Hope you had a wonderful Thanksgiving. I'm still working on my leftovers. So, I'm a dope, but what's the pretty yellow and white square at the top? I should have thought of the box o' chocolates! that cole salw looks so yummy. Ive never had that on Thanksgiving. Everything looks so good that it's making me very hungy. The cole slaw looks especially tasty. I went on vacation the day after Thanksgiving, so I didn't take home any leftovers. So I think I will be making another Thanksgiving dinner sometime soon! cole slaw at thanksgiving?! I should have come to your place! Er, need help with those chocolates? Glad you had a tasty Thanksgiving! I can't stop craving the pies!!! 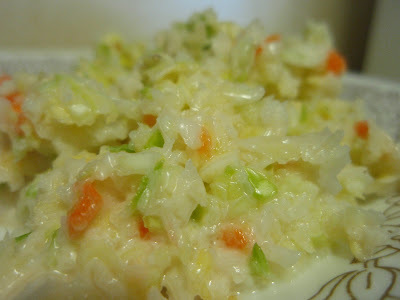 cole slaw sounds pretty good right about now! 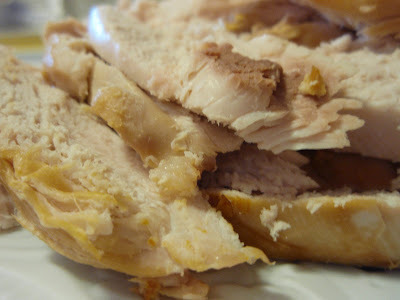 I agree---I never tire of seeing or eating Thanksgiving food, or of reading about it! I skipped Thanksgiving this year, and your photos have me craving the food. I really want one of those eggs of the devil! Great range of food and I love seeing what everyone eats for it as we don't celebrate it here. Vicarious eating if you will! 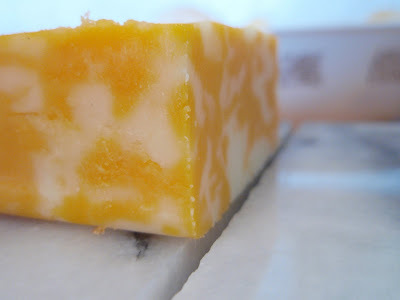 Any post that starts with a block of cheese wins me over. It all looks so darn good Grace! 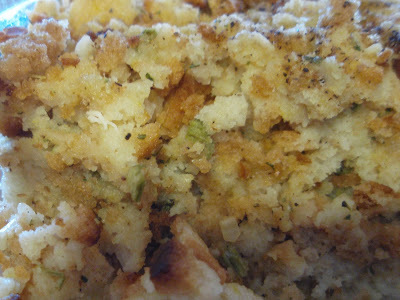 !I love stuffing, I made it with potato bread this year and it turned out fantastic. Yummmmmm, dressing is my favorite part!! I'll be fixing it all again this weekend for my father-in-law. Your dressing looks yummy! You all did do justice to that box of chocolates too! 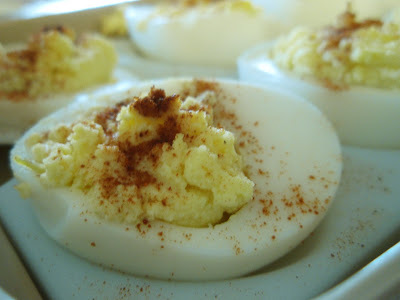 Doggone it I forgot to make the deviled eggs. I knew I missed something! Well we had enough with out them, maybe for Christmas then. Happy December Grace! Oh yeah, I'm the same way, just had another turkey sandwich for breakfast today! Yippee! I went through a momentary lapse where I had eaten so much food throughout the weekend that the thought of food disgusted me. Thankfully, that dreadful phase has passed and I'm back in Thanksgiving mode! The pics are wonderful, gonna share that slaw recipe ? FOUR pound box of chocolates?? MOVE OVER TURKEY! 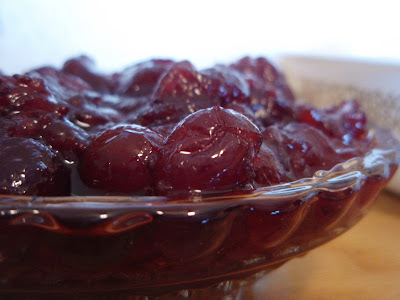 Apparently I'm not tired of Thanksgiving yet either and our was in October - I look at these delicious looking recipes and am creating the menu for the next holiday. I think it's called Chocolate Day. no? I'm with you--I'm happy to keep peeking in on everyone's Thanksgiving spreads out of hungry curiosity. Looks like you ate very well! I am very much like you Grace, I could eat Turkey day leftovers over and over again and never get tired of it. Now for the 4 pounds of candy..I could eat at least 3 pounds by myself. 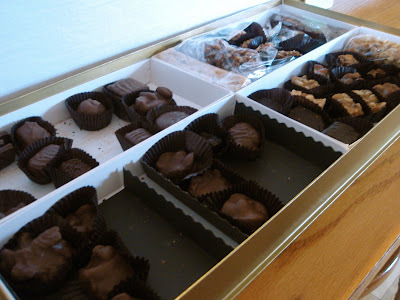 Okay, I need to start the four pound box of chocolate tradition. How did I miss that one?? 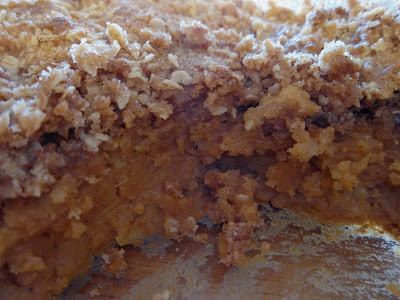 That sweet potato casserole looks divine! Looks like you had a good one. What a great spread, you know how to celebrate!